The University of Vermont celebrated the completion of Phase I of its new $104 million science, technology, engineering and mathematics, or STEM, complex, the largest construction project in its history, with tours of the two new buildings that were recently completed – Discovery Hall, which opened in June after 23 months of construction, and Votey Hall, which opened in late August after an eight-month renovation. About 150 people toured the new buildings late Thursday afternoon. A third component of the complex, Innovation Hall, will be completed in May 2019. When finished, the STEM complex will house UVM’s departments of Chemistry, Physics, Mathematics and Statistics, Computer Science, Civil and Environmental Engineering, Mechanical Engineering, and Electrical and Biomedical Engineering. “We’re thrilled that the new STEM complex is on schedule and on budget, and that a significant portion of the project is already online promoting just the kind of engaged student learning and interdisciplinary faculty innovation that we envisioned,” said Tom Sullivan, UVM president. While Innovation Hall will contain predominantly faculty offices, lecture halls and classrooms, Discovery Hall and Votey Hall, home base for the university’s College of Engineering and Mathematical Sciences, will house the majority of new teaching labs and faculty research labs in the STEM complex. Discovery is home to 14 teaching labs and 22 faculty research labs. 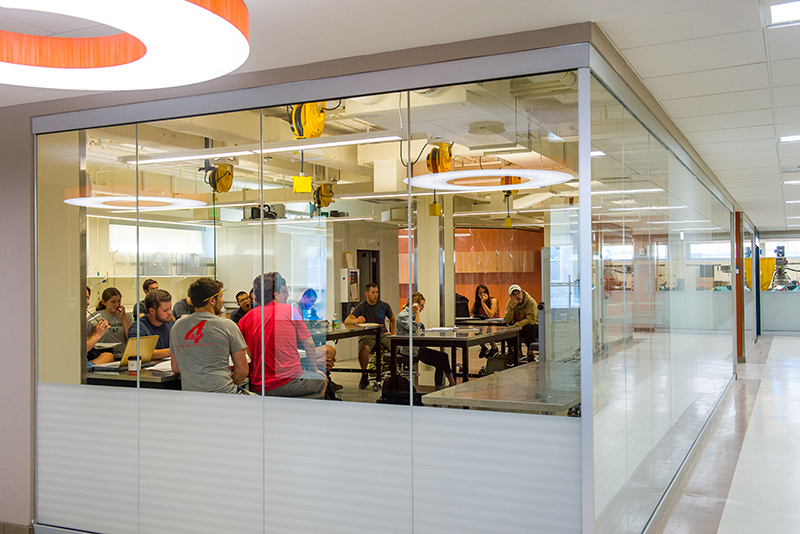 Votey adds 11 new teaching labs and three new faculty research labs to the complex. Both the teaching and the research labs in the buildings mix the STEM disciplines, rather than giving each one dedicated space as is traditionally done, an intentional element of the project’s design, said UVM’s provost, David Rosowsky. “The plan was to put people together to promote the kind of collaboration across disciplinary boundaries that can lead to truly innovative learning and discovery,” he said. 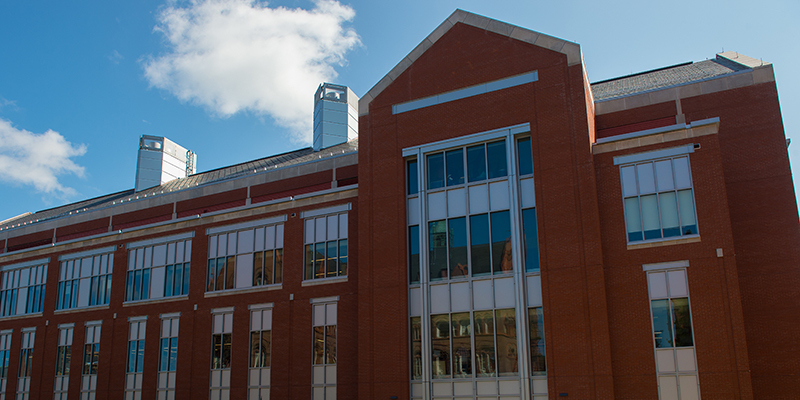 The first floor of Discovery Hall, which houses faculty research labs in chemistry, physics and engineering, is a case in point, he said, as is the third floor of Votey Hall, which houses a large physics laboratory near a cluster of engineering labs. Teaching labs, too, are flexibly designed so they can accommodate students in several different STEM disciplines and be reconfigured for different pedagogical or research purposes. 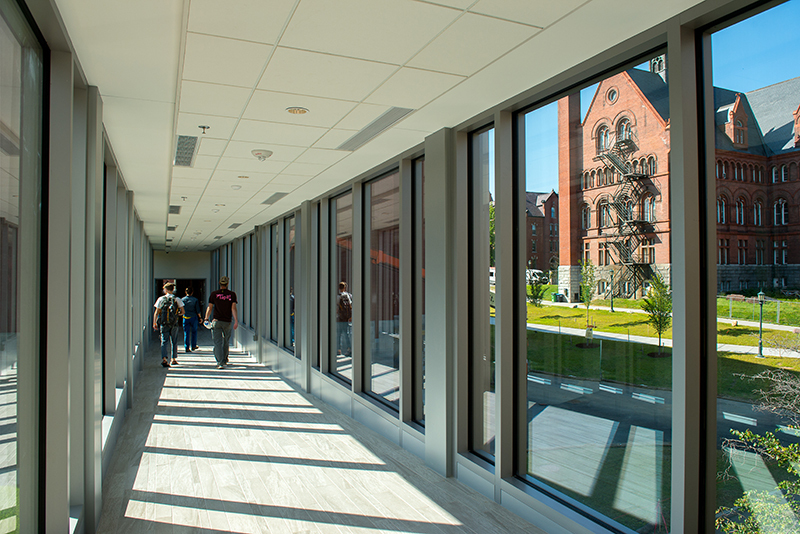 The new STEM complex, a significant upgrade over the facilities it replaces, contains state-of-the-art features like the only open-research clean room in Vermont, giving students invaluable training that will prepare them for today’s high-tech job market and UVM the chance to recruit world-class faculty focused on nanoscience and nanotech research. But its real significance lies beyond bricks and mortar. “The STEM complex has given us the capabilities to bring to life innovative curricular programming that’s strategic for the university and attractive to our student body that we’ve long planned but didn’t have the facilities to implement,” Rosowsky said. The new biomedical engineering undergraduate major, launched in September 2016, is an example. Planners were confident the major would succeed in part because the new STEM complex would include a large biomedical engineering teaching lab, the university’s first. Similar new work spaces will help the university grow its new data science major, promote collaborations between UVM’s Larner College of Medicine and the university’s engineering departments, foster collaborations with industry and offer new graduate and certificate programs. While the new complex is designed to engage and inspire UVM’s STEM majors, who make up about one-third of undergraduate enrollment and more than 60 percent of graduate enrollment, and to attract talented students interested in engineering and the sciences, it is also serves undergraduates in other majors, 90 percent of whom take two or more STEM courses during their college careers. Beginning this year, classes will be invited to visit the facility to learn about STEM, view research projects in action and meet with faculty and students. Rosowsky sees this outreach as a natural fit for the university’s land grant mission. “We want to give Vermont students the opportunity to learn about STEM and to be excited by it, at an early age,” he said, an opportunity young people routinely have in large metropolitan areas like Boston that offer a greater density of tech companies, research institutions and science museums. The architect for the STEM complex is a partnership of Freeman French Freeman of Burlington and Ellenzweig Architects, a Boston-based design firm specializing in STEM projects.